Rates increased this week. The 10-year Treasury yield ticked up 6 basis points, while the 30-year mortgage rate jumped 5 basis points to 3.95 percent. 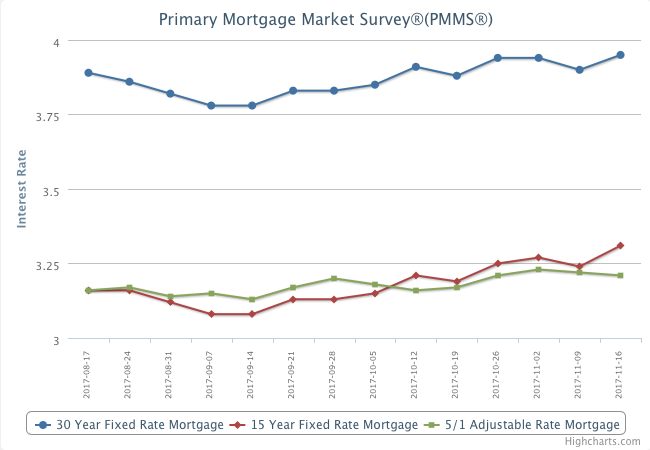 Today’s survey rate is the highest rate in nearly four months.